Below The Cutoff: I Switched to a Western Saddle... And I Love It! 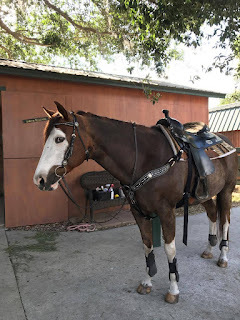 I Switched to a Western Saddle... And I Love It! As I pull my saddle off the rack and head back to the cross-ties I reflect upon what I am carrying… a Western saddle. Yeah, I said WESTERN. Never in my life did I think this was a piece of tack I would own. To me, Western saddles belonged to ranch hands, trail ride businesses, and drum runners (barrel racers). I grew up in the world of Hunter Land. Home of the Pessoa and CWD and Crosby saddles (when we were kids). Western saddles were not even in our vocabulary. Yes, this makes me sound like a hunter princess and English riding snob. But, hear me out, please. 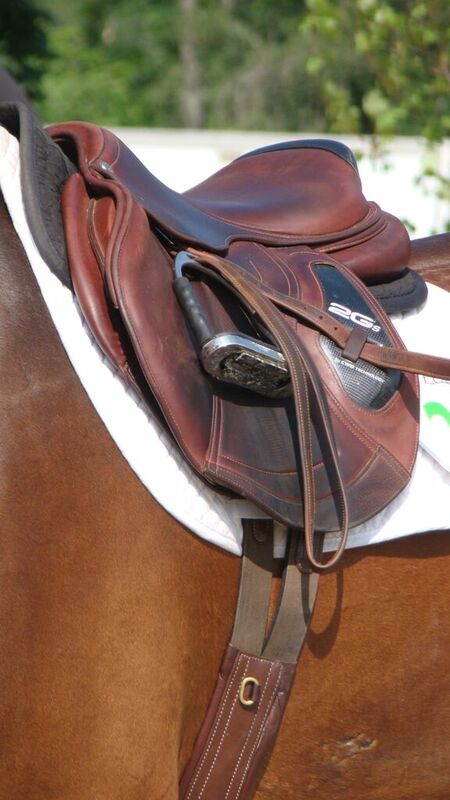 I have spent the last 33 years of my life in an English saddle. In fact, I think the last time I sat in a Western saddle, I was 4 years old and on a pony ride at Silver Star Stables in New Hampshire. I can still remember the big clunky feel of the saddle as I sat on a large paint pony while a woman led me around a circle twice. That is where the horse obsession began. After that first pony ride, I quickly moved to English seat concentration at Ascot Riding Center. 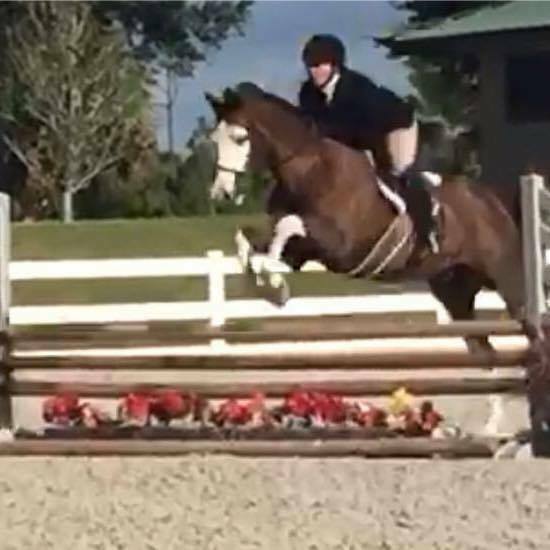 I spent 20 years on the hunter jumper 'A' circuit and I spent 6 years doing the Wellington, Florida local circuits in the hunters and jumpers. I loved the early morning wake-ups and adrenaline highs of show days and the awesome feeling of being exhausted and falling into a comfy bed at the end of a long, successful show day on the circuit. Those were some of the best days of my life all the way up until April of last year. Again, never did I envision myself where I am today. Ironically, the owner of the barn I was boarding at was also the owner of one said Charlie Brown. She asked me to ride him one day, and you know what, he was pretty awesome! I jumped him, showed him in dressage, and formed quite a bond with this gelding! After purchasing Charlie last summer, we moved to Central Florida. Charlie and my large pony jumper, Pony Express, were now going to be boarded at a primarily Western barn. I initially went about my business. 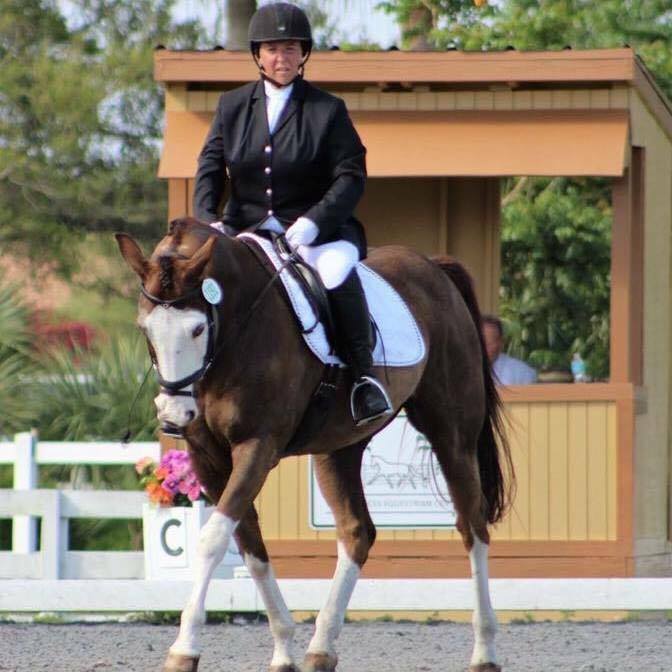 I continued to work on my dressage--I was always the only person in English tack. One day, though, I got brave and ventured outside of the box. I put--get ready for it--a Western saddle on my horse. And you know what? I loved it! And so did my horse! We L. O. V. E. D. it! And the funny thing is, turns out my little QH/Paint primarily English horse, knows Western and neck reins! That was quite a surprise to learn. 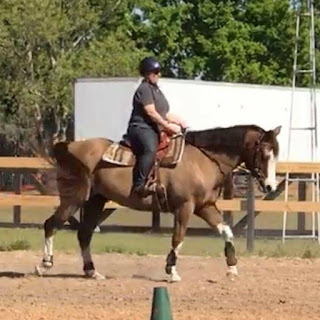 So fast forward over the last six months and I can honestly say I have not sat in an English saddle. I now do Western Dressage (yes, it is a discipline that is fully recognized by the organizations) and I am so happy these days with my newfound love and discipline. Never in a million years would I have thought I would be riding Western and passing my riding days on trails and learning new tests and ways to better myself and my equine friend and partner in crime. In fact, I can honestly say that switching disciplines has been one of the best things I have done riding-wise in a long time. I have learned to not be biased about disciplines and I have come to learn that the most important thing is the time spent bonding and working with my horse--not the type of saddle I ride in. Do I miss the hunter/jumper circuit? Do I miss showing? Yes and no. 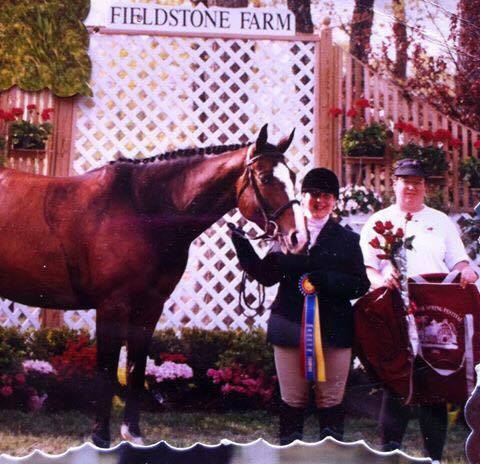 I miss the adrenaline highs of horse shows and the feeling of being successful and having my awards to show for it. What I don’t miss is the politics of horse showing and the feeling of disappointment when I work so hard and don’t achieve the goal I set for myself. Learning something new and enjoying something “outside of the box” is so very important to continue on as a successful equestrian. Dare to be different… you might just like it! Melissa Parrish Mazer lives in Central Florida with her husband, daughter, and rescue dogs. She is a registered nurse.